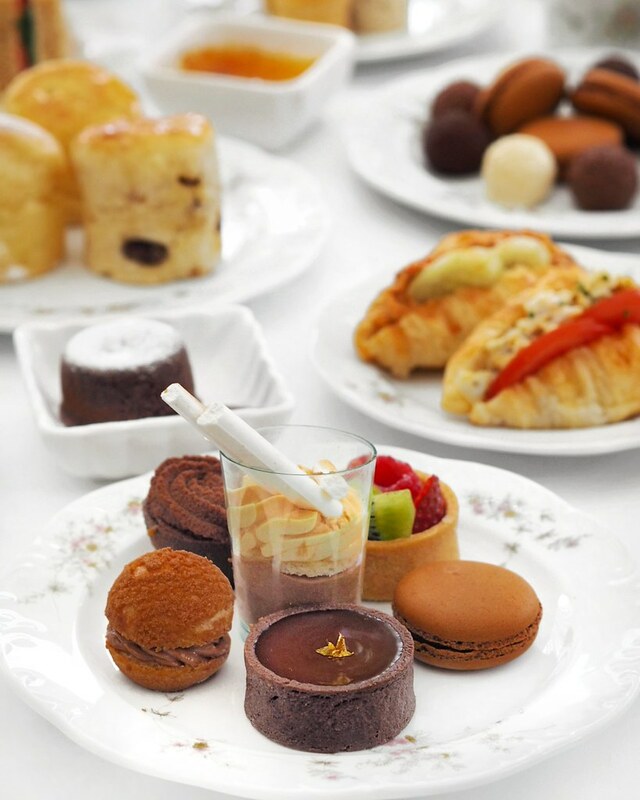 Well known for its elegant English Afternoon Tea buffet that has garnered loyal fans, L'Espresso at Goodwood Park Hotel presents the 'Chocolate Divine' English Afternoon Tea from 9 March to 8 April 2018, where chocoholic guests can look forward to an enhanced selection of irresistible chocolate highlights with four specially crafted savoury chocolate creations for this occasion, apart from its already dazzling assortment of dainty sandwiches, salads, traditional English scones, savouries and pastries. 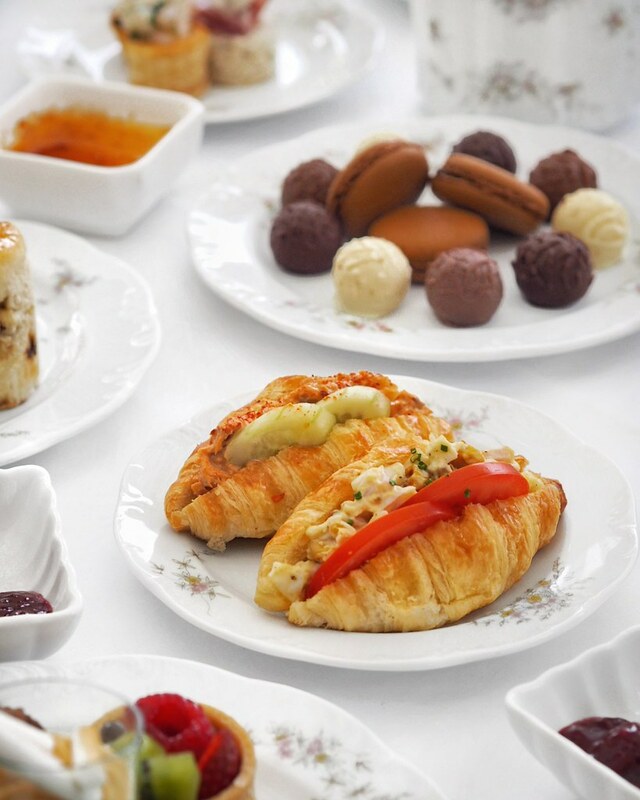 The sweets section will be adorned with specially-created pastries that encompass white, milk and dark chocolate varieties, with delectable chocolate pralines and macarons. The mouthwatering cake selection includes the Ivory Chocolate Brownies; Bitter Chocolate Mousse Delight; Tiramisu with Chocolate Flakes; Chocolate Marble Cheese Cake; Chocolate Hazelnut Crunchy Cake; White Chocolate Green Tea Cake; Jivara Earl Grey Raspberry Cake, and Double Chocolate Mud Cake. 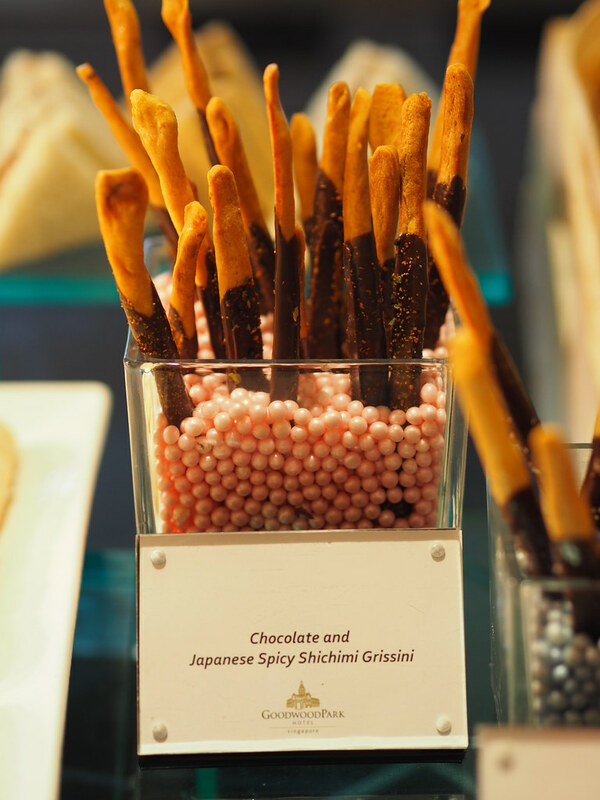 Always up for a fun challenge, the chefs have created two Italian-style breadsticks with the much-loved ingredient – Chocolate and Sea Salt Grissini and Chocolate and Japanese Spicy Shichimi Grissini. 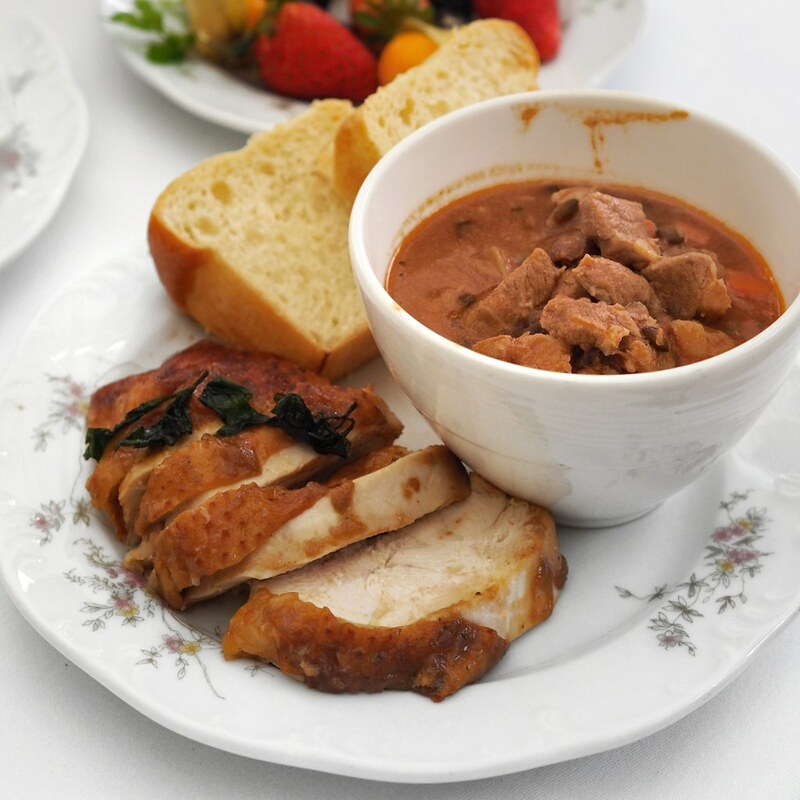 Apart from the sweets selection, there is also a wide variety of savouries such as the cold delicatessen section, soup of the day, as well as hot savouries of the simmering Braised Pork with Chorizo and Lentils in Hot Pot with Brioche, which makes for a comfort dish. The croissants are freshly made, with 2 flavours to choose from: Spicy Tuna with Cucumber, and Ham and Egg Salad with Peppery Maple Corn. 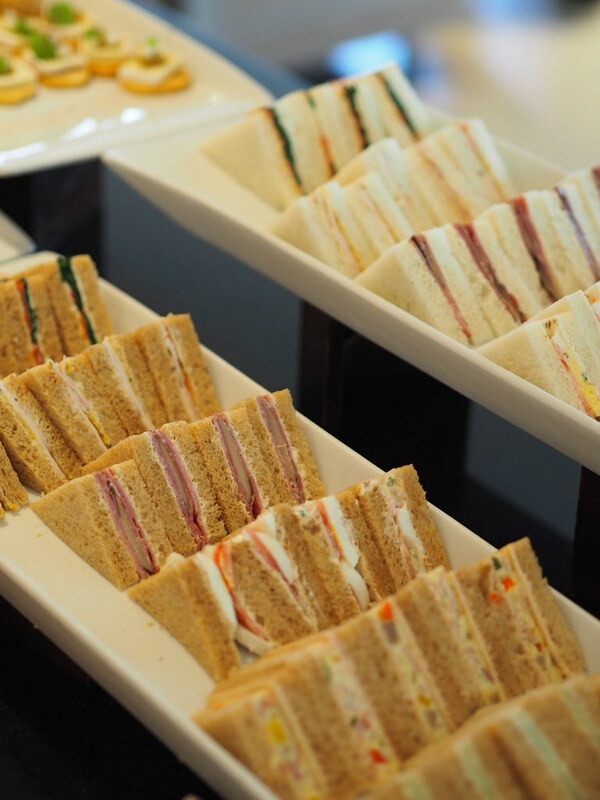 Guests will be spoilt for choice with L’Espresso’s ever-popular finger sandwiches and tantalising fillings. 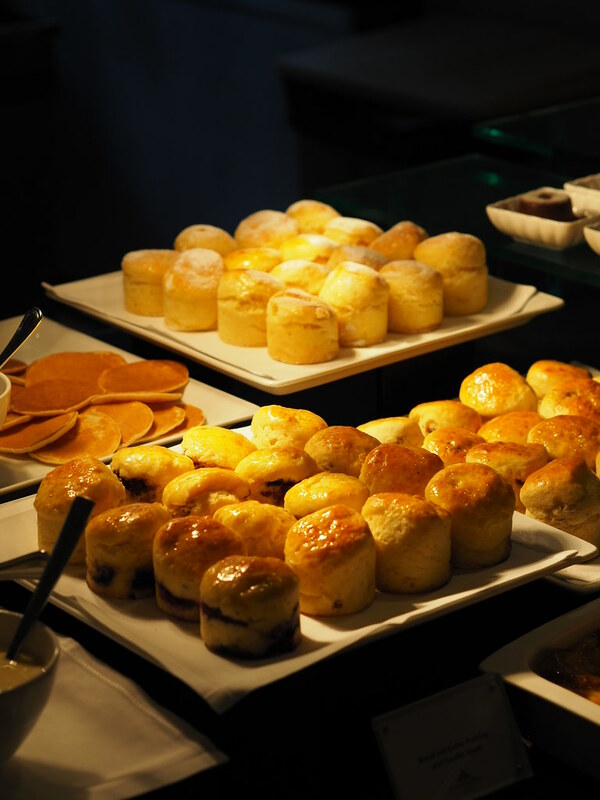 Flavours include the Breakfast Omelette with Gruyere Cheese Cucumber and Cream Cheese; Egg and Tomato with Smoky Tomato Aioli; Slow Roasted Tomato Confit with Feta Cheese and Spinach; ‘Chicken Kiev’ Lemon Butter and Crispy Garlic; ‘Beef Wellington’ Parma Ham, Beef Pastrami and Portobello Confit. Their selection of open-faced sandwiches is a must-have with the unique sweet-savoury combination in bite-size portions. 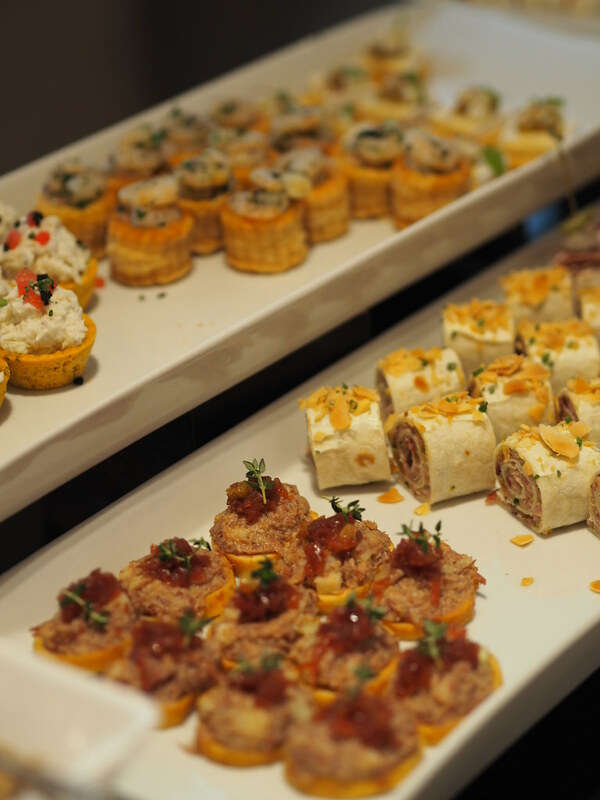 Flavours include the Turkey Pinwheel with Cranberry, Candied Orange and Pistachios; Salchichón with Olives and Pommery Mustard; Crabmeat Tartlet with Feta and Watermelon; Shrimp Ceviche with Tomato Basil Cream; Brie Cheese with Cinnamon Apple and Raisin. 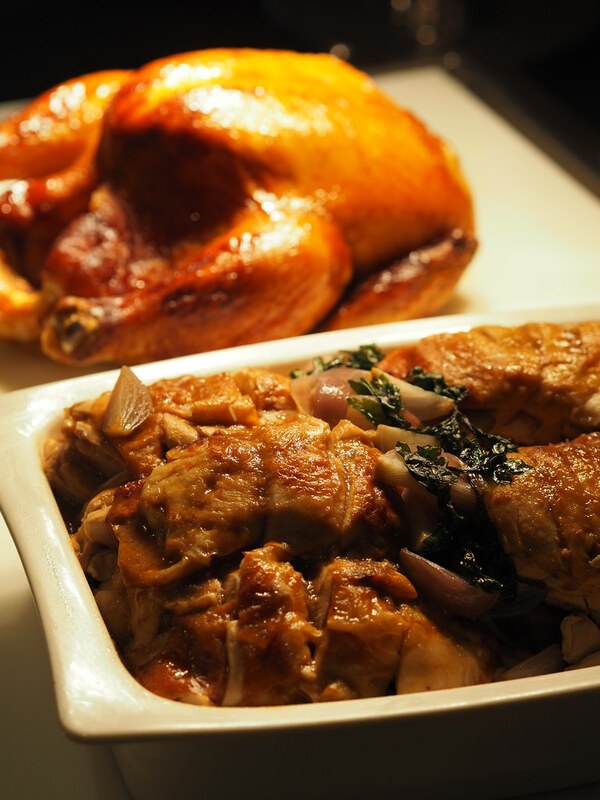 Indulge in the roasts available such as the juicy Beer and Honey Roasted Chicken at the Roast section, with the tender succulent meat which is really enjoyable. 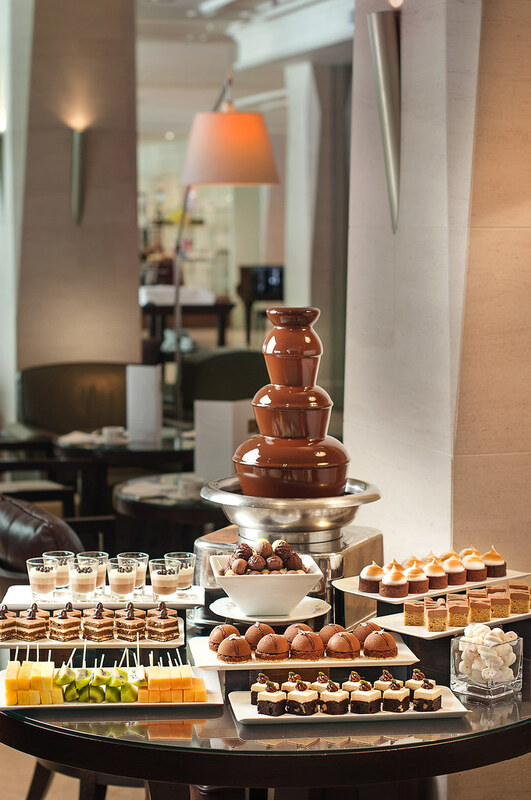 There are also fresh fruits to round off the Afternoon Tea, with a chocolate fountain to drench them in as well. 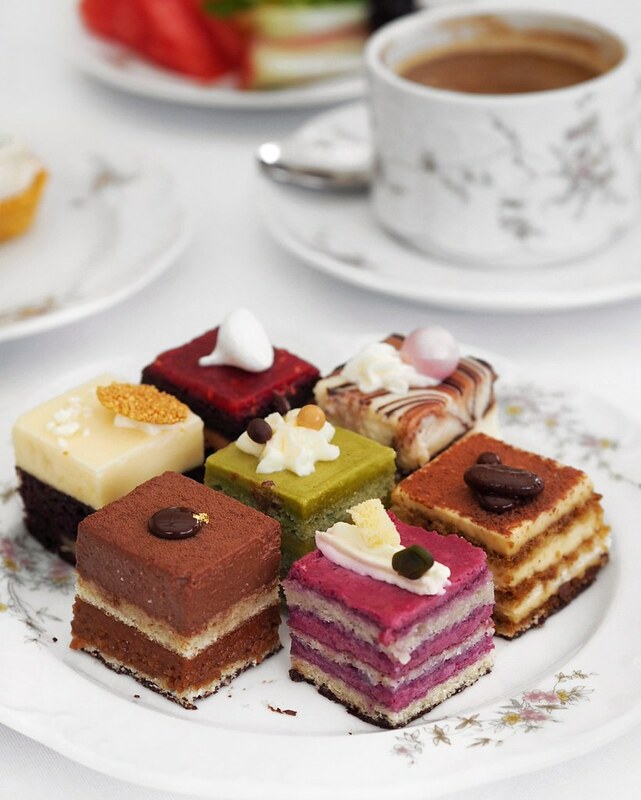 A cosy café by day and chic lounge by night, L’Espresso is the destination of choice for those who love Afternoon Tea or enjoy relaxing with cocktails in the evenings. 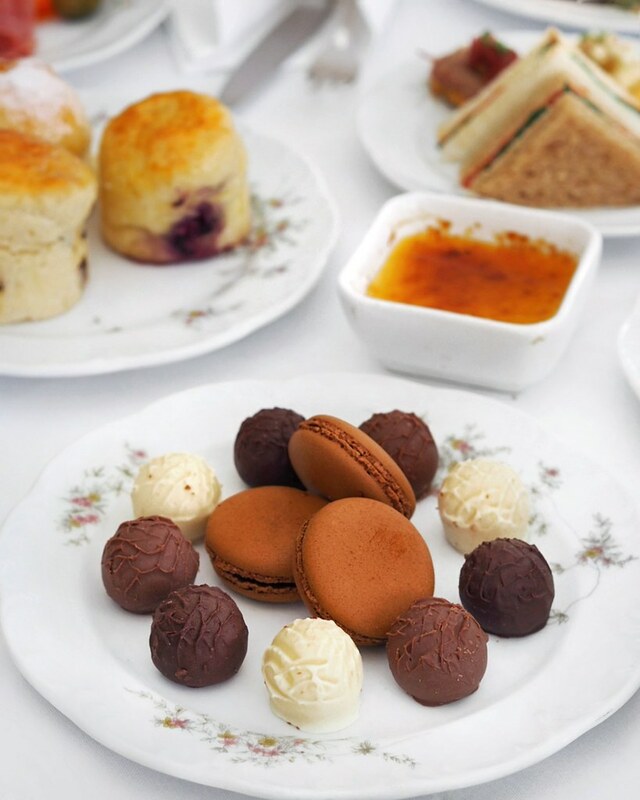 Note: The 'Chocolate Divine' English Afternoon Tea is available for a limited time only from 9 March to 8 April 2018. 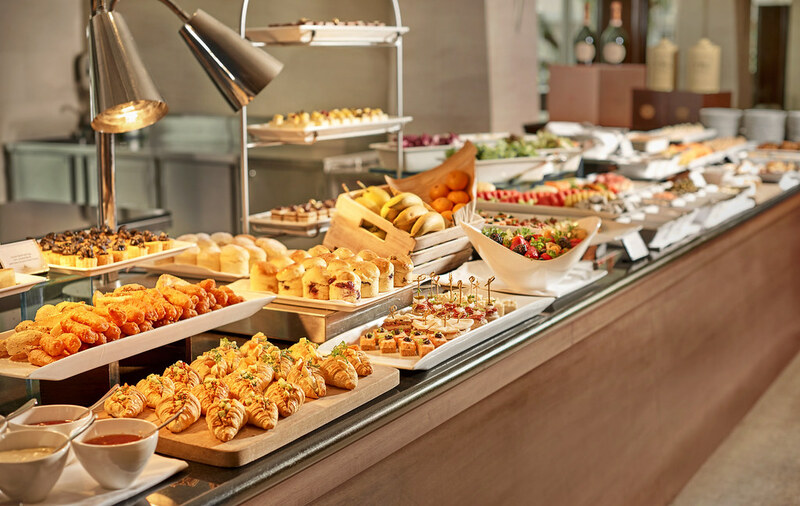 The buffet will be available at $48++ per adult, $24++ per child from Fridays to Sundays , eve of and on public holidays; and $45++ per adult and $22.50++ per child from Mondays to Thursdays. 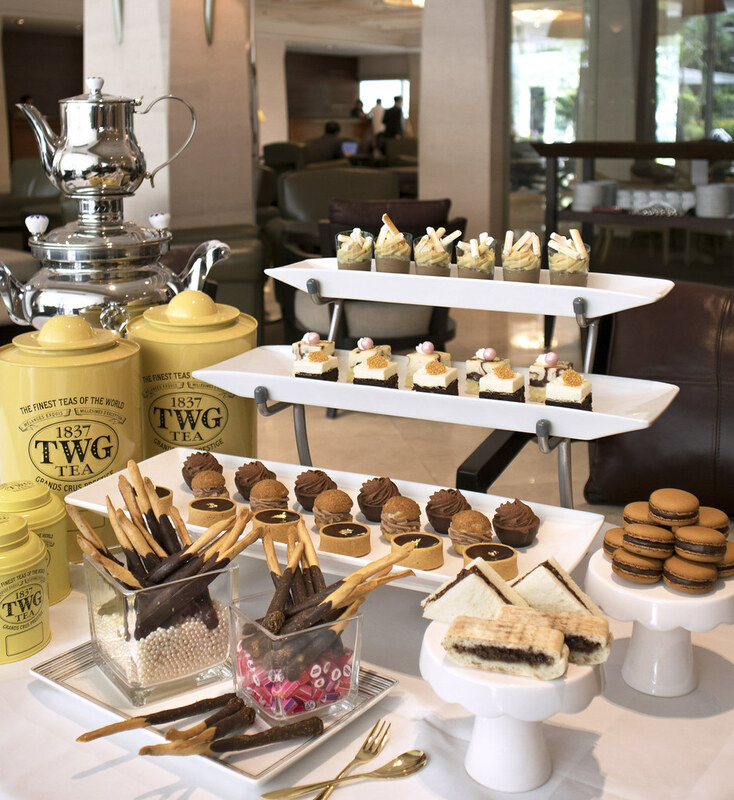 The price includes two servings of coffee and tea from a selection of premium coffee and TWG Tea. If guests fancy some tipple to perk up their afternoon, they can choose to accompany their afternoon tea with a glass of champagne at S$68++ per adult from Fridays to Sundays, eve of and on public holidays, or S$65++ per adult from Mondays to Thursdays, or a free-flow of bubbly at $118++ per adult from Fridays to Sundays, eve of and on public holidays, and $115++ per adult from Mondays to Thursdays.